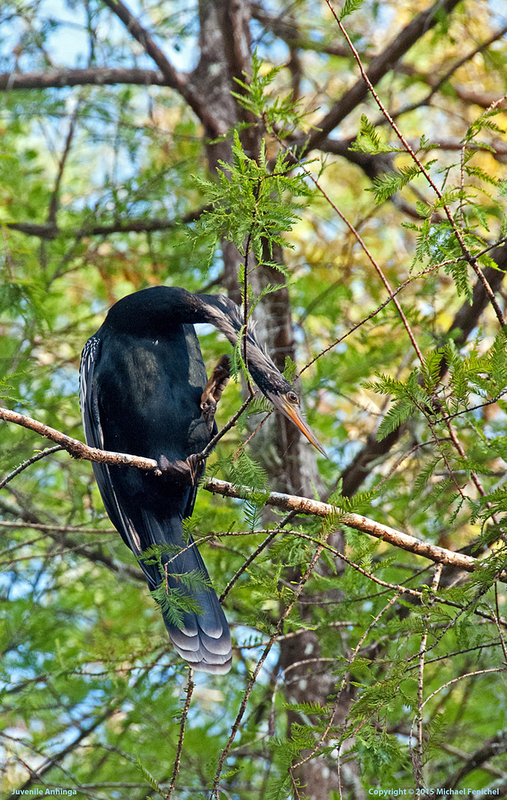 Sitting in the tree is a juvenile anhinga. Take a look at its long, flat, cobra-like neck. 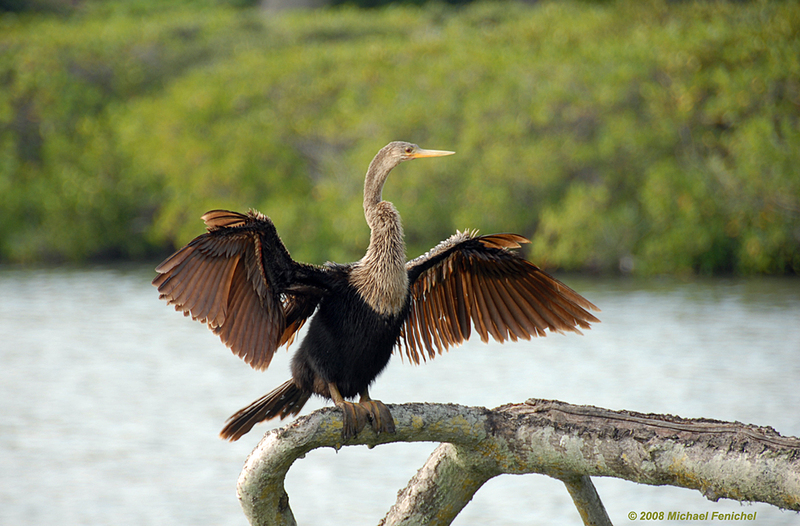 These birds are known as "snake birds", because once they dive in and get wet, if they stay in the water, swimming to stab some food or get to dry ground, only their very thin neck and eyes appear above water like the Loch Ness monster.